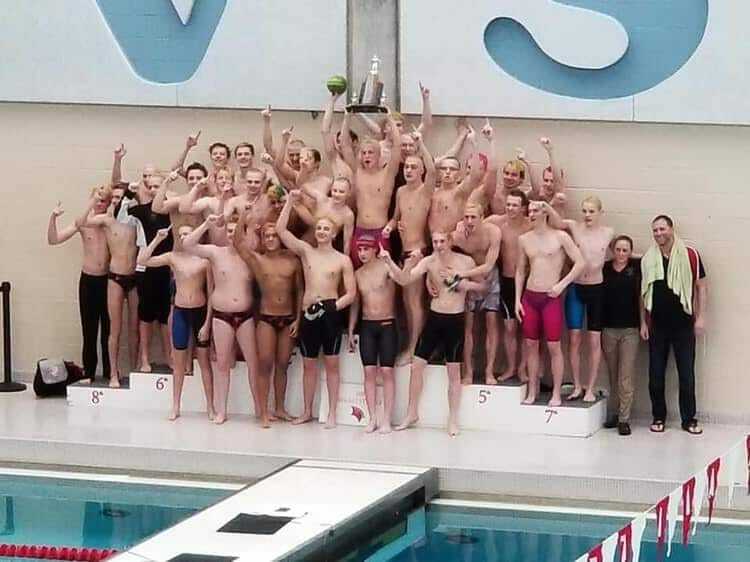 The Grand Blanc Boys Swimming and Diving team had an exciting first season in the Saginaw Valley League. The SVL Championship took place last Thursday and Saturday. After thrilling competition with the Dow Chargers, the Bobcats surprised everyone by breaking Dow’s 16-year winning streak and taking home the SVL title. The Bobcats went into the SVL Championship Prelims ranked 2nd behind the Dow Chargers, who were favored to win by over 80 points. After years of similar competition in the KLAA, GB knew they could make up ground if they swam fast enough and performed strong enough. Prelims began with diving where the Bobcats’ Logan Martin-Nagy put himself in a strong 5th place seed for Finals. The swimming competition began with the 200 Medley Relay. The GB A and B relays swam side by side, both dropping a tremendous amount of time. The A relay team of Jonah Curtis, Devon Bryant, Harrison Adams, and Jarod Williams set the tone for the Bobcats, bettering their State qualifying time and taking the top seed for Finals on Saturday. The team went on to have 83% personal best times, qualified 53 of 71 swims for Finals, 26 of which made the Championship Final. GB also gained two State qualifying times and bettered two State qualifying times. Devon Bryant set a new Varsity record in the 100 Breast with a time of 59.87. By the end of Prelims, GB had closed the 80-point gap and made up ground. Dow went into Finals with a three-point favored advantage. At Finals, energy was high and both teams were ready to battle. In the Medley Relay, the Bobcats came in ranked first and were leading most of the race, but the Dow Chargers came from behind and touched out the Bobcats by a tenth of a second. Next, in the 200 Freestyle, Dow took first and second over the Bobcats’ Devon Bryant, Mason Harding, and Wyatt Halstead. The Chargers were swimming strong and in high spirits, but the Bobcats were swimming just as strong and would not give up or be defeated. In the 200 IM, GB Senior Captain Jonah Curtis was seeded second behind Dow’s Collin Che. The two had a tough race, going back and forth, but Curtis pulled away at the finish to win by under half a second followed by teammates Harrison Adams and Gage Kosmanopoulos taking fourth and fifth. From that moment on, the Bobcats kept pushing forward with 73% of their races dropping even more time from Prelims and improving five of their State qualifications. Throughout the meet, the team focused on supporting each other and doing their best in their events and did not pay attention to the score. 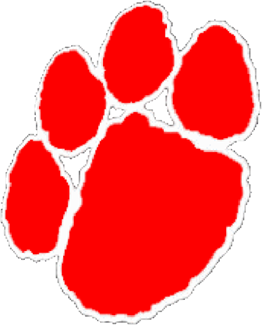 Most of Grand Blanc’s strength over Dow came towards the end of the meet with Jonah Curtis winning the 100 Back and the Bobcats outscoring Dow by 27 points overall in backstroke. The Championship Final in the 100 Breast consisted of only GB and Dow swimmers, four from each team and GB dominated the heat finishing first, second, fourth, and sixth. After the 100 Breast, Grand Blanc had gained a large enough lead that they did not need to score in the 400 Free Relay to win the meet, but the team was unaware and wanted to have a clean, strong relay swim. The relay team of Youssef Mohamed, Carson McDaniel, Max Schaffer, and Mason Harding was seeded third behind Dow and the Heritage Hawks. The team swam fast while making sure they had clean relay starts and was trailing both Dow and Heritage. Then Bobcat relay anchor, Freshman Mason Harding chased down the Heritage anchor swimming five seconds faster to touch out the Hawks and take 2nd, increasing the Bobcats win to 59 points over the Dow Chargers.